By chance, I’ve spent a good part of the day traveling for work purposes and find myself near Nashville, TN. It is work we want to do, so we don’t begrudge the travel or even that we’re traveling on Easter. Like many American Christians, and those who call themselves Disciples of Jesus, or of Christ, it is always difficult to stay spiritual on Easter and on Christmas. On Easter, for instance, Easter egg hunts, pastel colored plastic grass in a Chinese plastic basket, chocolate covered everything, etc and not w public word or memory of Jesus, and of Jesus’ execution at the hands of the Romans (not the Jews)! And Christmas is even worse—when we let a fat man dressed in red hand out the best gifts of all to our befuddled confused children, who cover plastic of all kinds and sugar treats of many varieties. I can’t recall that these myths of legends even tie back to Jesus, in any way or form. These holidays, as they are, are shameful for Christians to see. Instead, I’ve been reading the book by Marcus Borg and N.T.Wright, each a prominent theologian on their own. In this book they discuss back forth what happened to Jesus on Good Friday and on Easter, and despite their positions at each radical extreme between conservative and historical viewpoints of Jesus, they seem to agree on much about Easter. The surprising idea is that Jesus’ resurrection on Easter morning was bodily. It was not his soul that got up and walked around; it was his body, with rips, tears and injury showing. He had been executed by the Romans; it’s bound to show. But neither was he a ghost. Jewish culture knew what ghosts were and Jesus wasn’t. He was hungry so he cooked fish for himself and friends. 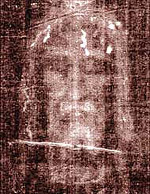 Jesus was touchable and present in the humanly flesh, yet could appear and disappear as he wished, could be transparent, could be in two places at once. 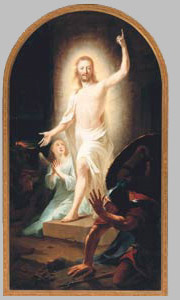 Marcus Borg describes this resurrection like this: as if Jesus’ soul had died, and been replaced by the spirit of the living God, so that the resurrection is of the same body, but different. It is not the old life restarted or continued, but a new life begun, but with the old body. This is subtle it seems, but it is a concept and idea quite different than what I’ve heard, as a description and inquiry into this ‘resurrection’ It is not really ‘life after death’ but ‘life after life after life’….and that includes life after death and also life after life and death beginning right now and continuing forever, as the embodiment of God. That’s why resurrection, and this ‘resurrection day’ are so important, although I fear we’re getting it wrong. And this resurrection reminds us that it is not a promise of eternal life after we die, but eternal life now. It’s not a new trail, but a different turn on a new trail. 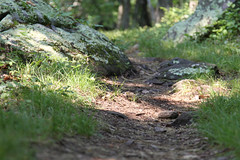 And that leads me to recall, that tomorrow or the next day, I may have the chance to break away from business, and walk a few miles on the Appalachian Trail, a part that is near or goes through the Great Smoky Mountains. And that is a new trail.